The green fluorescent protein has gained significant attention in biology, medicine and research and has been described as the microscope of the twenty first century for a very good reason. Through this protein, it has become easy to not only observe proteins as they are being made, but also observe any movements. By attaching the gene of this protein to the gene of a given protein or an organism, scientists and researchers can easily observe any protein of interest given that GFP fluoresces. Because it can be attached to other proteins and organisms, GFP has become one of the most popular imaging tools. Proteins in particular are very small and can prove very difficult to observe. However, by attaching GFP to the protein (as a tag) the green fluorescence of the protein enables the protein of interest to be viewed. It is for this reason that GFP is referred to as the modern microscope. For a long time, neuroscientists were unable to activate/stimulate single neurons given that they could only stimulate the brain cells with electrodes. However, through optogenetics, it is now possible to stimulate individual neurons instantly. This is achieved by using an algae protein (attached to the neuron of interest) as well as light. Here, the fluorescent protein is used to indicate which of the neurons has been manipulated to become the on and off switch. Today, a good number of studies in this field have been directed towards understanding the photochemistry of the protein (GFP) and using its model for the purposes of mimicking its chromophore. 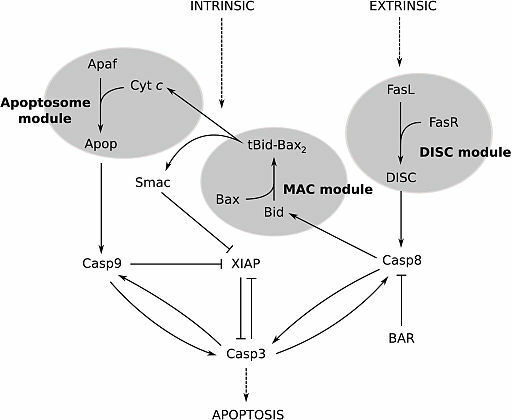 This has helped in the development of DMFBI-RNA complex referred to as Spinach. This is a fluorescent RNA tag that is selective and non-toxic. The compound only fluoresces when it is attached to an RNA, which means that it can help follow the molecules of interest as they move through cells. Apart from being non-toxic, this RNA tag is also resistant to photo bleaching, which means that it provides a great service. By using a Brainbow of colors, it has become possible for researchers to map neural circuits of the brain. For instance, researchers used this method to introduce genetic machinery, which randomly mixes green, cyan and yellow fluorescent proteins in various individual neurons to create a palette of 90 distinctive hues of colors. Through this technique, it is now also possible to differentiate between given neurons and learn more about them. For instance, by labeling say 100 neurons in a single mouse, this becomes more convenient and efficient than labeling a single neuron in 100 mice for studies. Looking for fluorescence through microscopy is one of the ways through which GFP fusion expression can be assessed. This approach has been successfully used to show that a GFP moiety has been accurately expressed making a straightforward method of assessing fusion expression. It may be difficult to prove that an entire fusion protein is being made through microscopy. For this reason, the immunoblot method is largely preferred given that it allows for the detection of both immature and mature GFP. 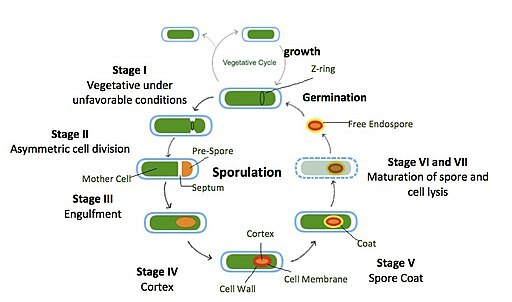 The discovery and understanding of GFP has also made it possible to make good observations of such organisms as yeast. Given a good number of yeast media yellow auto fluorescence once they are excited by a specific light (UV or blue light) fluorescence filters that maximize the detection of GFP (while at the same time minimizing auto fluorescence) have to be used. Transcription Reporter - Here, the GFP is placed under the control of a promoter of interest. As such, it helps monitor gene expression from the promoter in a given type of cell. Förster Resonance Energy Transfer - FRET is used for the purposes of studying interactions between two proteins or domains of protein undergoing conformational change. Here, two fluorescent proteins with overlapping excitation or emission spectra have to be used. This technique has been successfully used to learn more about protein interactions, protein structures as well as any changes that a given protein may undergo. Split EGFP - Split EGFP is an alternative to Förster resonance energy transfer and is largely used for the purposes of studying interactions between proteins. 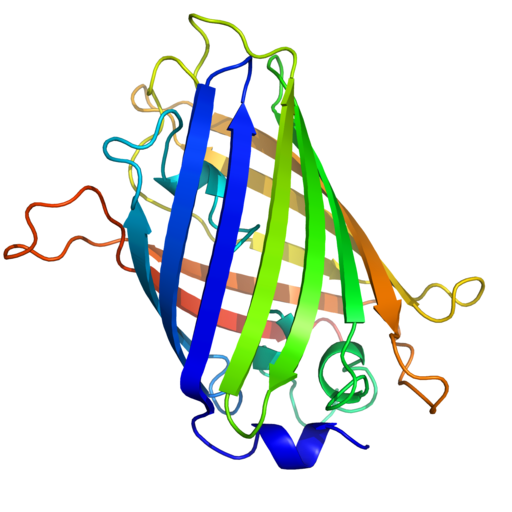 Typically, two portions of EGFP have to be fused to the protein of interest. When they come close to each other, the two halves of the EGFP start to fold, mature and fluorescence. Through this process, it becomes possible to observe the interactions between proteins. Cell Marking and Cell Selection - With such expression constructs like plasmids, GFP is included as a marker. 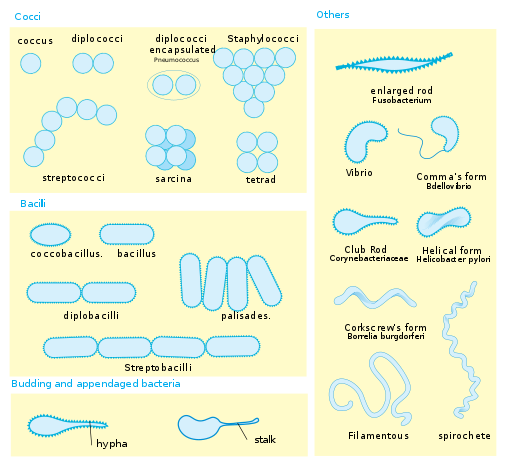 This helps in identifying which of the cells have successfully taken up the plasmid. Fluorescence - activated cell sorting - FACS refers to a type of flow cytometry used to separate a pool of cells in to various distinct populations on the basis of fluorescent signal. Here, this technique serves to separate those cells that express GFP from those that do not. Purification - As a general epitope tag, GFP has also been shown to be a valuable tool for the purification of proteins as well as a number of other commercial antibodies. The GFP chromophore is formed in an autocatalytic cyclization of the tripeptide 65SYG67 sequence. As such, it does not require any cofactor and is typically followed by the oxidation of the intrinsically formed structure. This simply means that this protein fluoresces in the absence of any cofactors, proteins or substrates making it ideal as a tag. GFPs and other GFP-like proteins are very stable. The manner in which they are formed sets them apart from other bioluminescent reporters that may require other proteins, substrates of cofactors to fluoresce. This makes GFP more useful as a genetic tracer molecule. The fusion of GFP to other proteins does not alter their functions of locations. 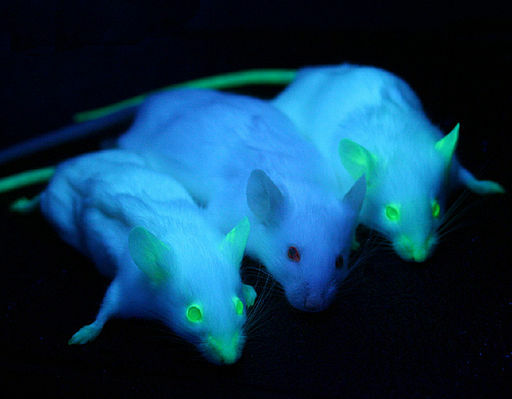 For this reason, attaching the GFP to the protein does not cause any change which means that the proteins will be observed in their natural state. Compared to other conventional fluorescent dyes, GFPs are non-toxic. As such, they can be effectively expressed in living cells, which allows for the study of dynamic and physiological processes. Compared to other proteins, GFP has a significant advantage in that activity is not lost while fluorescence is maintained even after fixation with such liquids as glutaraldehyde or formaldehyde. This means that the GFP continues to be active and can therefore be relied upon in long term studies. In addition, GFP as well as its variants have been shown to be highly resistant to photobleaching. This is a big advantage given that such chaotropic agents like 8M urea cannot affects its fluorescence properties. Today, GFP is being extensively used in many experiments making it a very important scientific tool. Because of its strengths, it has proved to be very important for studying the dynamics of various proteins, nucleic acids as well as lipid localization in yeast. In addition, it is a beneficial tool for studying the movement and functions of various cell organelles, interaction of proteins, gene expression as well as studying the structure of proteins among many other uses. Therefore, it can be argued that GFP has become an important tool in biology, medicine and research, making significant contributions to microscopy. Return to Fluorescence Microscopy and Immunofluorescence Microscopy as well check out an article on Total Internal Reflection. Marc Zimmer (2015) Green Fluorescent Protein: A Molecular Microscope. Martin Chalfie and Steven R. Kain (2005) Green Fluorescent Protein: Properties, Applications and Protocols.